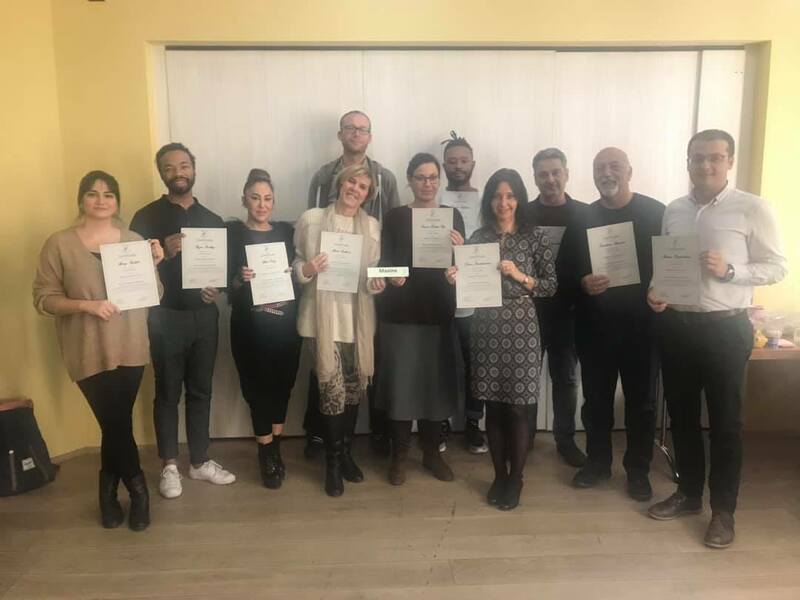 Gecko Programmes holds Erasmus+ funding to send professionals involved in delivering adult education services across the West Midlands to Seville, Spain. Participants will be drawn from our own organisation and also from organisations with whom we engage to deliver our adult education service in the community, and this includes support workers as well as trainers. The project aims to develop 20 UK staff between 2018-2020 in our own organisation and in those organisations with whom we collaborate to deliver Adult Education. At the end of the project, all participants will be provided with a Europass Mobility Document, that details the learning outcomes achieved, that will be drawn from the declared learning aims of each short structured course. Where these learning outcomes can be mapped to any or all of the three units of the UK Award in Education and Training, participants will be issued with an ECVET Learning Agreement that shows how the outcomes were attained and evidenced - contributing to the evidence base for the eventual attainment of the UK Award. All participants will be encouraged to document their complete attainments with the use of the Europass CV. The Erasmus+ funding will cover the costs of the course, travel, accommodation and a subsistence allowance. You can download the programme application form HERE. ​Rosaria Mulenga studied a BTEC Level 3 Extended Diploma in Health and Social Care with Birmingham Metropolitan College. Planning ahead for Uni, in the spring of 2018 Rosie decided to apply for Gecko’s Erasmus+ work experience programme to help with her personal statement, as well as for the opportunity to live and work in a different country. Rosie was successful with her application and was selected to go on a 60-day Erasmus+ programme to Berlin. Gecko and their German partners looked after the travel and accommodation logistics, and resourced a placement in line with her vocational qualification, as well as her future career plans; Rosie was placed with Yoyo Camps, where she was tasked with teaching English to children and playing games with them. At the end of the programme, they made her a job offer, but she decided to go to Uni instead, with the plan of returning to Germany after graduation. During this work placement I have found different ways of communicating with people due to the language barrier. I have also learnt different ways of socialising due to the cultural change and improving my teaching and handling methods with kids. I feel that I have learnt how to deal with kids better and how to react to them. The work environment is very relaxed as long as employees are doing what is required of them. Everyone gets along very well with each other and they are able to identify when to work and when to party. They take work very seriously as well as always keeping on time of their plans. A dress code is not an essential part of the business as long as it is appropriate, suitable and comfortable. Overall, the experience was very good. I have met many wonderful people and have gotten to know the German culture very well. My plans have changed into wanting to move there after I finish university in order to complete my masters and start work as an English teacher. My skills of working with children have improved. I have learnt how to work with kids despite having a language barrier. This I can use in my career. The good thing was that I was able to travel around the country more because of the work that I was doing. I met very interesting people who I have now made friends with and I learnt more about the culture. The bad was that even though I travelled a lot, I was not able to explore the country because of the work I was doing. I was too tired on the weekend and needed the rest for the next week. Has this experience helped you in improving your job prospects? I can use this as a reference in the future. Yoyo Camps thought I was hardworking and quick to learn, so they offered me a job at the end of the programme. However, as I was offered a place on the English and Creative Writing with the University of Salford, I decided to decline the offer but I plan to keep in touch with them. Gecko Programmes has secured further Erasmus+ funding for training courses taking place in Spain, Italy and Cyprus. 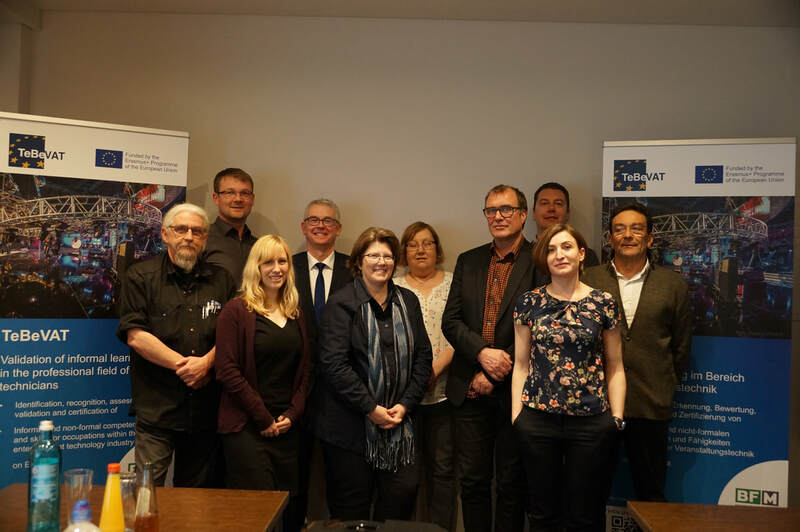 Gecko Programmes has recently secured Erasmus+ funding to send to Italy, Spain and Cyprus professionals involved in delivering adult education services across the West Midlands. The project aims to develop 20 UK staff in our own organisation and in those organisations with whom we collaborate to deliver Adult Education. Rebecca Finn - ​"My mobility experience"
"I went to Seville, Spain for 3 weeks in March 2017 as a Business Admin student. I had completed my Level 2 and just started my Level 3. For this, I was working in an office with a company called Incoma. Incoma is a training agency so they deliver Erasmus+ programmes including: vocational training, employment, entrepreneurship and language projects. I completed tasks using Microsoft Word, PowerPoint and Excel. I produced leaflets, flyers and spreadsheets. I also met with European students who were going on mobility and I helped a group of Spanish participants with coming to the UK. The sending organisation was Gecko, the company that I work for. I was supported with information prior to the mobility and I met the group that I was travelling with. Firstly, I had a Skype meeting with our receiving organisation. The purpose was to meet our contact over in Seville and let them find out about us and what work placement we wanted. I was asked a variety of questions regarding my current role, what I enjoy doing, and what I would like to do whilst on my mobility. This was done to allow time to find an appropriate work placement for us, before heading to Seville. It was helpful as it cleared up any questions that I had. I was a little nervous beforehand as I didn’t know what to expect but the interview re-assured me and gave me all the appropriate information I needed. It was also useful to meet the contact who I would be working with over in Seville (so I knew who I would be meeting and working with over there) and to introduce ourselves via a video call had more of a value rather than emails with no real face to face engagement. Overall, the meeting was very helpful and re-assuring. Secondly, I attended a group meeting / preparation session at my workplace where I met 5 others who were also going on the mobility. Each participant was from a different college (covering Birmingham, Wolverhampton and The Black Country). We were all of different creative sectors of study / work and we were of different ages between 17-25. The majority of the meeting was conducted by a PowerPoint presentation. It consisted of an icebreaker where we got to know about each other and we then get to know about Seville, where we would be staying. This included tourist attractions, things to do and see, getting around/ transport. We looked at each other’s work placements and accommodations and how to travel between each. This was helpful to have an idea prior to arriving. We also learnt basic Spanish language to help with my stay in Seville. At the end, we were given handouts and information sheets to refer to at a later time. We also created a group chat in order to keep in contact with each other prior to and whilst out in Seville, which was very helpful. TGecko supported me with subsistence allowance which was like pocket money - to pay for everyday things such as transport, food, etc. The accommodation was all organised and paid for and we had all important contact details in case of emergency. We also met with our contact at Incoma regularly throughout the mobility for a tutorial where we discussed what we had been up to and how we had got on. This was a chance to discuss any issues and share feedback. Whilst I was there, I also received training on entrepreneurship and employability. This included CV writing, cover letter writing, business skills, etc. We also recorded our day to day activities in a log book to show what we had been up to, what we had learnt and where we had been. It was great to reflect on. In my spare time I was able to explore, try out new foods, meet new people and socialise. I travelled to the Beach, I sunbathed and I visited attractions much as Museums, Castles and Gardens. Overall, my mobility experience was brilliant. I gained confidence and became more independent. It made me spontaneous and I want to travel more now. It has had a massive impact on my development and also looks great on my CV to say that I have worked abroad. It has opened so many more opportunities for me. After the mobility, the group I went with met back up at Gecko (sending organisation) a few weeks later. We shared our experiences and left both verbal and written feedback through an online questionnaire and a written report. This gave us the chance to reflect on our mobility and also to give any suggestions of what we would maybe improve. To ensure that we attended the final reflection meeting, we were asked to pay a deposit of £35 at the start which was then returned upon completion of the mobility and attendance of the final meeting. The importance of the final meeting was to gain a report from each of us participants, as without this, funding is not claimable. It worked out successfully as the whole group attended, completed their reports, gave feedback and received deposits back. Since completing my mobility, I have a lot more confidence and I am more spontaneous to go out and do more. I have booked multiple holidays at different destinations and I intend to continue travelling. At work, I was able to receive a promotion into a higher role. I have also been able to share my experiences with friends, family and other associates which has encouraged a few referrals to go ahead and complete the programme for their selves. I now have the responsibility of promoting Erasmus+ through presentations, event and social media post in the hope to motivate others to participate in the same way that I did and gain similar skills, experience and achievements." Gecko Programmes has been successful in securing over £3m Erasmus+ funding to send people to Italy, Spain and Germany. We offer a combination of vocational training in the UK that is followed by a funded work placement and further learning with one of our European partners. Gecko has funding available for certain courses, which can offer progression onto a Erasmus+ funded mobility programme. To learn more about the funded courses available, contact us on 01902 837 416. To apply for a Erasmus+ mobility programme, email us your CV, together with the application form, which can be downloaded from here. We aim to get back to all applicants within a week after receiving the relevant documentation, but due to the high volume of applications, this might take longer. We thank you in advance for your patience. I have recently been successful in securing the role of EuroApprentice with the Erasmus+ National Agency in the UK, and tasked with raising awareness of Erasmus+ opportunities in the vocational education and training (VET) sector. I applied as a participant who has previously been on a mobility project, working in another European Country through the Erasmus + Programme. I was lucky enough to be selected as one of the final 4 successful applicants in the UK and I am delighted to have been given this opportunity to share my experiences and encourage others to go ahead and gain the experience that I have. "The role of a EuroApprentice is to enhance the visibility of the Erasmus+ programme in their home country and motivate other apprentices, enterprises and VET providers to participate in the programme by sharing their own experience of learning abroad and its benefit for personal and professional development. EuroApprentices are members of a network of Erasmus+ funded apprentices selected by Erasmus+ National Agencies in Austria, Czech Republic, Denmark, Finland, Germany and Italy." I was able to get involved with this as I completed a mobility in Seville, Spain in March 2017, where I worked in the Business Admin industry, working in an office for 3 weeks. The mobility itself has opened many opportunities for me both personally and professionally - enabling me to continue onto this new programme as well as being able to progress at work, whilst attaining new personal and professional skills. My role as a EuroApprentice is to enhance the visibility of the Erasmus+ programme and motivate other apprentices, enterprises and VET providers to participate in the programme by illustrating my own experience of learning abroad and its benefit for personal and professional development. Complete 1 - 4 social media engagement activities: Facebook, Instagram, Twitter etc. I was also privileged enough to attend a funded EuroApprentice Network Meeting in Vienna, Austria from 28th - 30th May 2018. There, I met with other EuroApprentices from different countries in the EU, including: Spain, Germany, Czech Republic, Italy, Malta, Spain and many others. 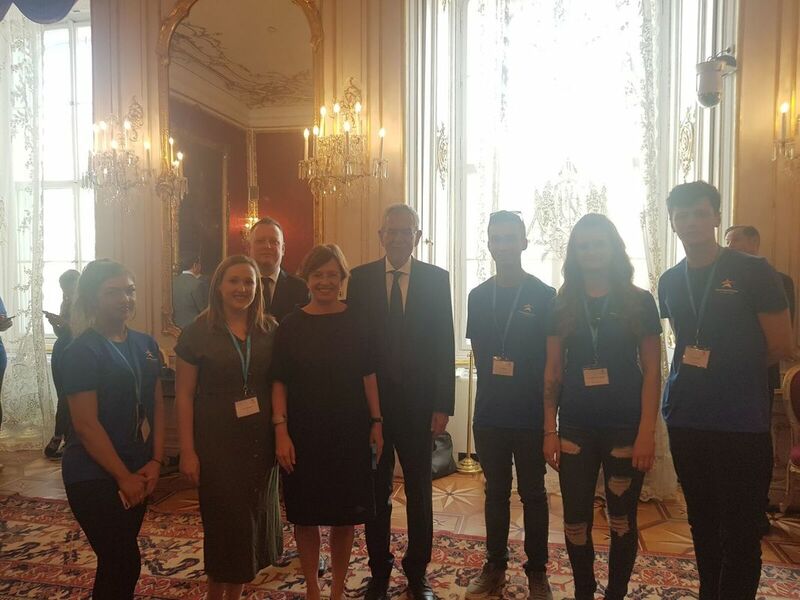 During my stay I was able to do sightseeing activities, I had a tour of the city and I was also lucky enough to meet and greet the Austrian President, Alexander Van der Bellen. I also participated in Social Media, Video Making, Project Planning and Presentation Skills Activities. Overall, the whole EuroApprentice journey so far has been overwhelming and I am excited for what is to come in the future. I would recommend this programme to anyone spontaneous, looking to gain experience, looking to travel or looking to develop themselves. Gecko Programmes is going to host the TeBeVAT [Validation of informal learning in the professional field of event technicians] project closure event in Wolverhampton on the 5th July 2018. The event will feature presentations on the tools developed by the project, and how they can be used in the entertainment technology industry. TeBeVAT is a pilot study about identification, recognition, assessment and validation of informal and non-formal competences and skills for occupations within the entertainment technology industry. We invite anyone operating within the creative industry, education, events management/entertainment technology industry to come along to the event. This will be a great opportunity to find out more about recognition of prior learning within the industry and network with recognised names in the events management/sound technology sector from Germany, Belgium, Italy, Austria and Netherlands. The Business Management Research Center for questions of the SME sector (BF / M) at the University of Bayreuth is a non-profit association which was founded in 1979 and has set itself the goal of science and industry to interlock with each other by economic research results in business be transferred and can be held empirical studies. The main focus is clearly on small and medium enterprises. working for a Chamber of Commerce / Job Centre / employment agency / business incubator? We require your feedback for the design of an innovative training pathway for disadvantaged adult learners who are looking to start-up a business. The focus group is part of a larger project (YouBrand) which will help disadvantaged adult learners move into self-employment. The final training materials will be freely accessible to anyone interested in using our methodology (given appropriate credentials are given!). The aim of the study is to gather opinions on the methodology of YouBrand, its effectiveness, sustainable development and its adaptation to the public policies. The methodology proposed by the YouBrand project aims to define a guided and homogeneous learning process that, through 6 steps (training modules), leads the aspiring startuppers towards the definition of their business idea, so that they can come to the market more aware and equipped to withstand the impact of external factors which can affect a new business. If you are interested, we are inviting you to have a look at the YouBrand methodology draft below, and drop us an email at liz.ungureanu@geckoprogrammes.co.uk to learn more about the time and location of the focus group. Altrnatively, you can ring us on 01902 837 416. Since 2016 entrepreneurship has been defined as one of the 8 key competences by the EP (18.12.2006) in the lifelong learning process. School education faced a lot of pression and changes in terms of teaching entrepreneurship programmes within a basic education context. All national activities were mainly focused on the development of suitable training material, supporting tools for teachers in secondary, high VET schools as well as universities. A lot of activities were preformed at national and international level (also in EU projects) - such as online games, online training programmes etc. to enhance the entrepreneurial spirit of youngsters. What is missing now is new educational approach to adults and their entrepreneurship skills. Adult learners are often unemployed, part of groups at risk of social exclusion, and are lacking the skills required to live in a digital era. Even if they are ready to run their own bussiness they do not have as good ICT and social skills as the younger EU citizens. - designing and implementing an online community for trainers aimed at sharing and implementing resources and information. - the development of ICT competences. Start-up businesses and SMEs (EC on Eurostat data '14) are the main source of employment. The Entrepreneurship Action Plan 2020 underlines that in order to foster economic growth, employment and competitiveness in Europe there is a need for "more entrepreneurs and start-ups". The Council invites the Member States to "provide more services to support business start-up and promote the opportunities and perspectives of self-employment". The Action Plan 2020 and the Small Business Act strongly focus on the need to promote the entrepreneurial spirit and the business culture, supporting the business creation training and raising new generations of entrepreneurs. The Council suggests that the Member States should "encourage schools, VET providers and employment services to actively promote entrepreneurship providing guidance, support on entrepreneurship and self-employment also through entrepreneurship training courses". The Eurydice survery (2014) "Entrepreneurial education" highlighted the following gaps in terms of competences, skills and knowledge: communication, presentation, planning, definition and creation of a business plan and idea. In 2013, European Commission (EC) Memo stated that 'Entrepreneurship education needs to be boosted'. The communication then comments that, 'Investing in education for entrepreneurship is one of the highest return investments policy-makers in Europe can make to support economic growth and business creation'. Quoting again from the EC, education should be brought to life through practical experiential learning models, real-world experience and the participation of entrepreneurs. Defined entrepreneurial learning outcomes for all educators are needed, to introduce effective entrepreneurial learning methodologies into the classroom. The YouBrand project will design, test and spread the utilisation of an innovative training methodology/curriculum with the objective of supporting aspiring adult entrepreneurs in their start-up path. To develop and test this curriculum the project will update the competences of trainers through a tran-the-trainer path providing them skills and resources developed by a partnership of six organisations from Poland, Italy, Spain, UK, Grece and Poland, involving education, research and innovation activities. The delivery of ICT competencies will be strongly embedded in the training promoting the use of ICT to increase the efficacy and impact of training paths for entrepreneurship and start-up. The project will also develop a web community platform as a reference point for trainers active in entrepreneurship and business start-up training to share resources, follow-up projects and discussions.